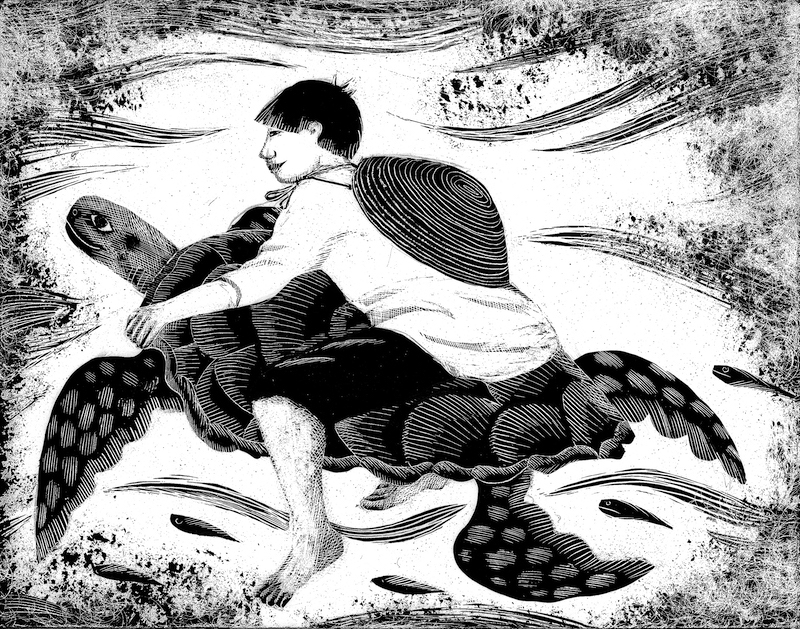 Illustration from The Little Mermaid and Other Fishy Tales © 2014 Jane Ray published by Boxer Books. Jane finds writing as absorbing as illustration. Can You Catch a Mermaid?, The Apple Pip Princess and The Dolls House Fairy all published by Orchard Books, were followed by Ahmed and the Feather Girl published by Frances Lincoln in 2010.Other work includes The King of Capri by Jeanette Winterson, The Lost Happy Endings by Carol Ann Duffy and Romeo and Juliet with Michael Rosen. She has also illustrated several books for The Folio Society. Most recently, Jane has illustrated Zeraffa Giraffa by Dianne Hofmeyr for Frances Lincoln. The third in a series of anthologies, The Lion and the Unicorn and other Hairy Tales, collected, re-written and illustrated by Jane, is about to be published by Boxer Books. 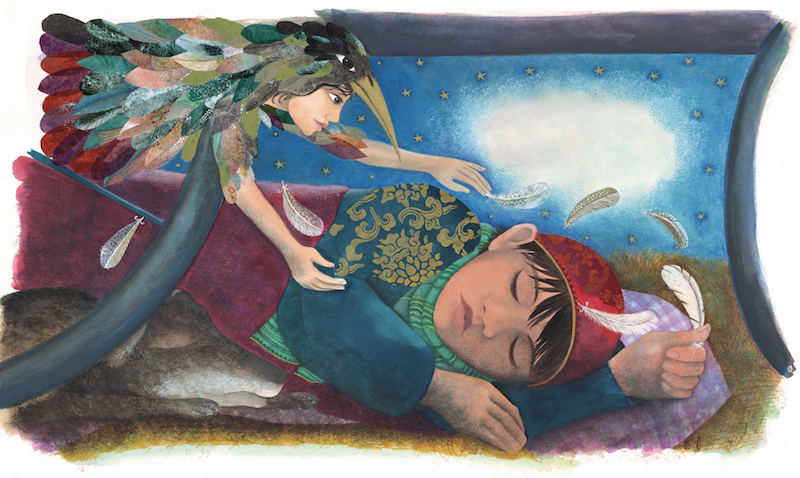 ‘Heartsong’, a story set in Venice, by Kevin Crossley Holland and illustrated by Jane, was published by Orchard in 2015 and The Elephants Garden based on an Indian folktale, was published by Boxer in 2017. Her work frequently takes her into schools where she finds the thoughts and responses of children invaluable and stimulating. Most recently she has created 200 mythical beasts in a London Primary school, worked with the Pop-Up Festival, and painted murals for Enfield Children’s Library, working with local children. She is also Artist in Residence at The Islington centre for Refugees and Migrants. Jane frequently exhibits her work with The Illustration Cupboard and Primavera, Cambridge. In her spare time Jane likes to sing, garden, walk, cook, and talk to the cat. 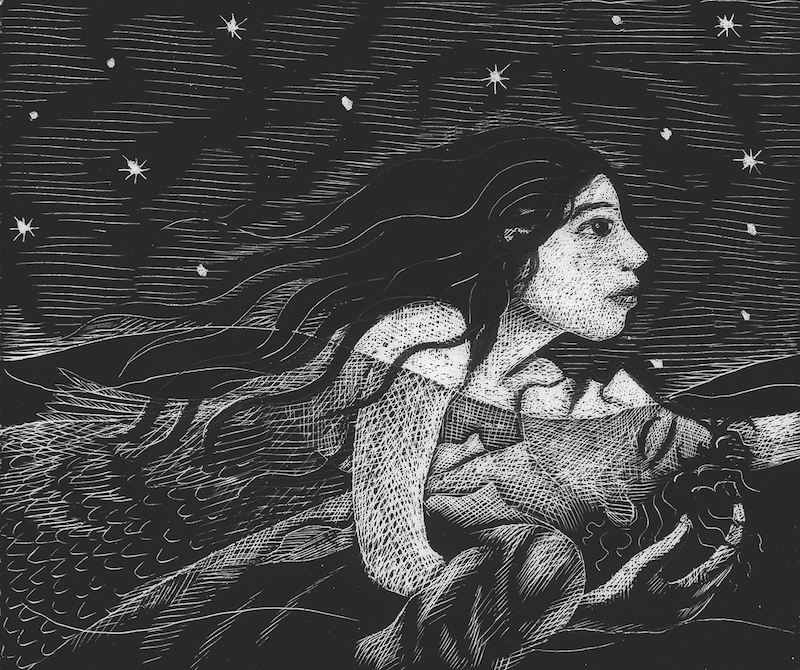 Jane Ray was IBBY UK's 2018 Hans Christian Andersen Award nominee.